Hillary Clinton's aide John Podesta officially announced on Sunday that the former Secretary of State intends to seek the presidency of the United States for the second time. The launch of her campaign will continue over the next week as the presidential hopeful visits Iowa and New Hampshire. In Clinton’s previous bid for the White House in 2008, the former secretary of state lost to incumbent Barack Obama in the heated democratic primary race. 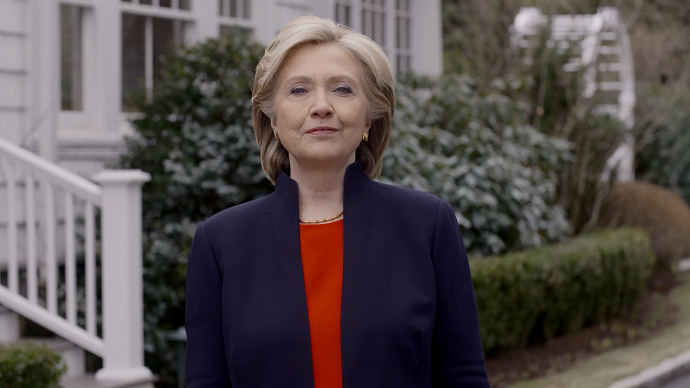 Clinton, widely seen as the frontrunner for the Democrats’ nomination, is the party’s first member to declare candidacy for the 2016 election. The long-awaited announcement comes after two years of speculation about a possible second bid. Meanwhile, past scandals are likely to surround Clinton’s campaign. Last month, the erstwhile senator and first lady was embroiled in a controversy surrounding her use of a private—rather than government-issued—email account during her time at the State Department. Clinton’s time as Secretary of State was also marred by the Benghazi terrorist attacks in 2012 which left four Americans dead at the US compound. Clinton stands accused of not having done enough to protect US staff. Following Clinton’s announcement, the Republican National Committee released a statement highlighting the recent scandals and questioning her reliability. "Over decades as a Washington insider, Clinton has left a trail of secrecy, scandal, and failed policies that can't be erased from voters' minds. The Clintons believe they can play by a different set of rules and think they're above transparency, accountability, and ethics," the RNC statement said.